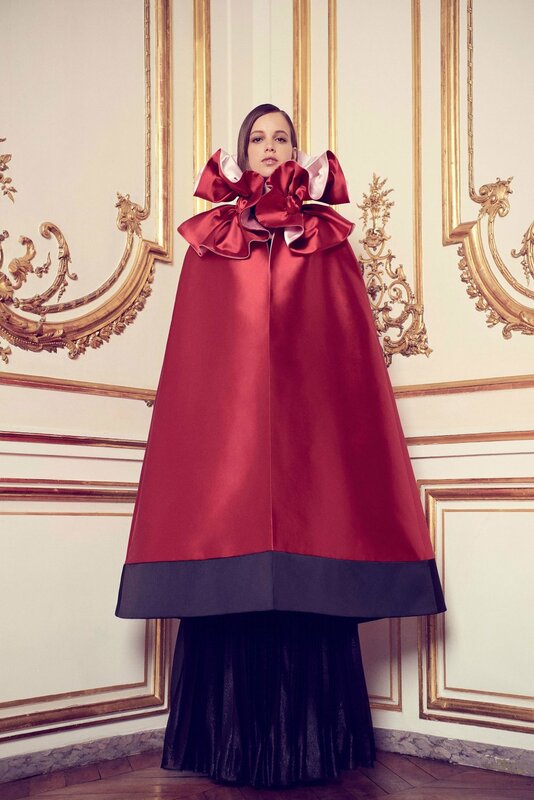 Alexis Mabille's unleashed his conceptual curiosity to the realm of dressmaking and came up with a series of exquisite dresses that tried to envision what a woman's scent would look like if it was a dress. The idea in itself is amusing and whimsical so it is no surprise the dresses exude the same level of levity. But don't let that fool you, as each piece is a piece worth looking over and over again. 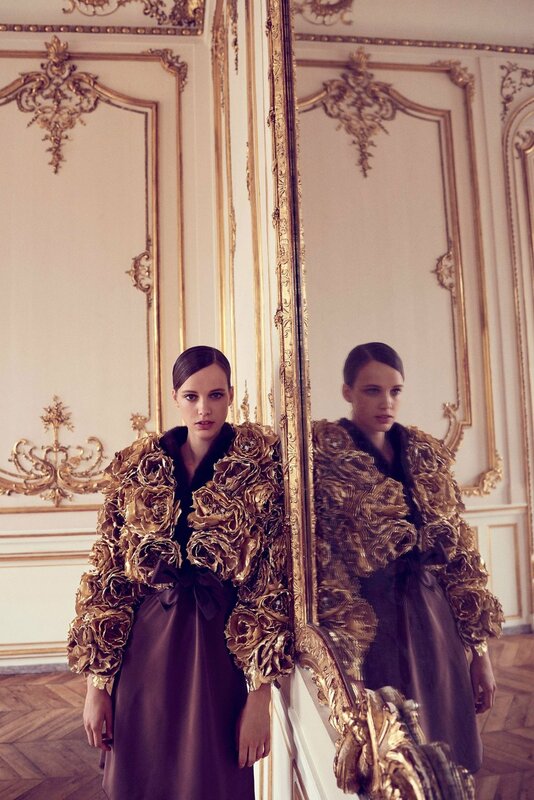 A blouson blanketed in sculpted gold lamé flowers, studded with tiny jewels at their centers was the piece that Alexis viewed as the foundational piece of this collection. That being said, any of the pieces could tiptoe between artistic whimsy and sheer joy.